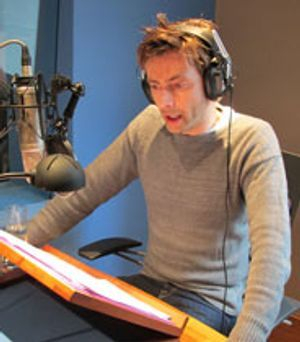 David Tennant has narrated many factual programmes but this is the place to hear his own thoughts. David has been asked to put his thespian talents to use by dramatically reading song lyrics. Click on each title below to read about the show and to hear the "song". 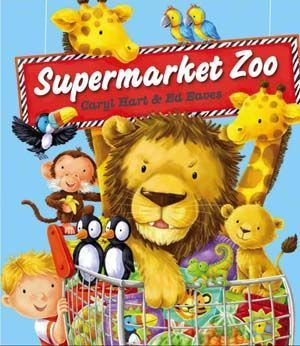 Supermarket Zoo is written by Caryl Hart and illustrated Ed Eaves and was published on July 8, 2010. Story: "Every little boy knows that going shopping with Mum is the most boring thing in the world. But for little Albie, one trip to the supermarket opens a whole new world of fun! Because this isn't just any supermarket - it's the supermarket zoo - and with a whole trolley full of animals on his list, Albie will never see shopping the same way again." 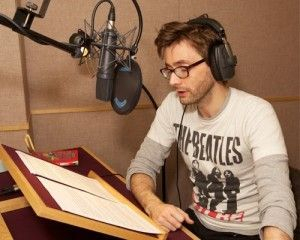 The audio book, which is read by David Tennant was recorded on February 2, 2010. The music for the audio book was composed by Iain Carnegie. I contacted the author in September of 2011 and there is currently no release date for this book. The author did tell me that "David very kindly signed a copy of Supermarket Zoo for me, which now has pride of place on my bookshelf." 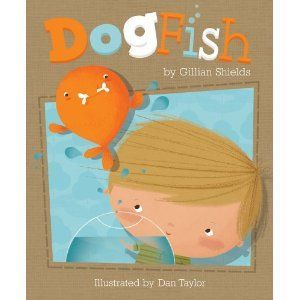 Iain has recently completed scores for Dogfish by Gillian Shields, narrated by David Tennant and also Grubtown Tales by Philip Ardagh, narrated by David Mitchell. Scoring work is now underway for Bear Snores On by Karma Wilson and Jane Chapman, also narrated by David Tennant. Synopsis: Everyone has a dog. Except for one little boy. He has a goldfish. He needs a dog. Mom says, "Why do you need a dog when you have such a nice goldfish?"